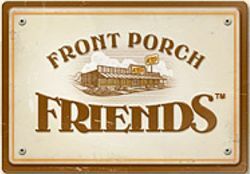 I signed up for Cracker Barrel’s Front Porch Friends rewards program right around the beginning of the year and I just today received my rewards card in the mail so I thought it would be a good time to post a reminder 🙂 I highly recommend signing up if you haven’t already and you have a Cracker Barrel near you. We stop in for breakfast probably once a month and have already earned rewards for both first quarter (free Uncle Herschel’s breakfast) and second quarter (free 3-pack car air fresheners) this year. Until now they’ve just been pulling me up by phone number so you can do that until you get your card and you can register online to start qualifying for rewards right away.